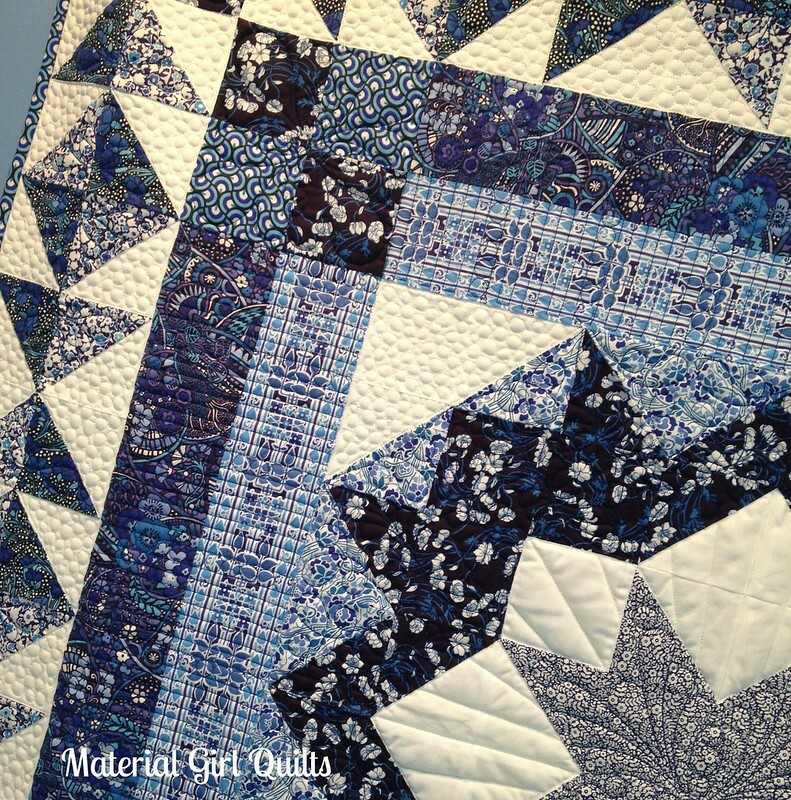 I really love this quilt. 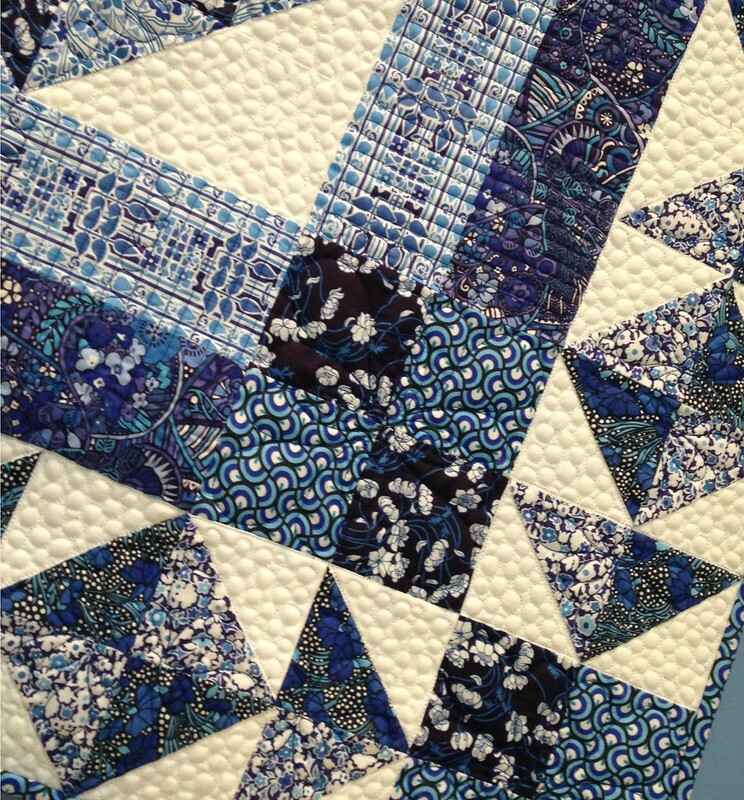 It's the first time I have used any Liberty of London fabrics (all of the blues) and my first medallion quilt design. 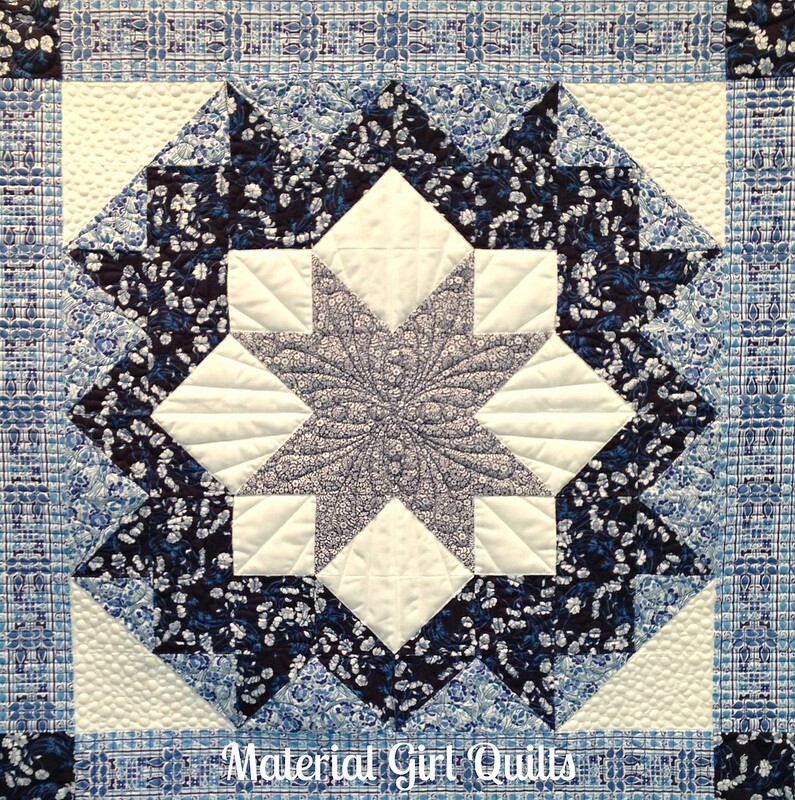 My local quilt guild member and friend, Lynette Reynolds, quilted it for me. Just take a look at the amazing work she did. 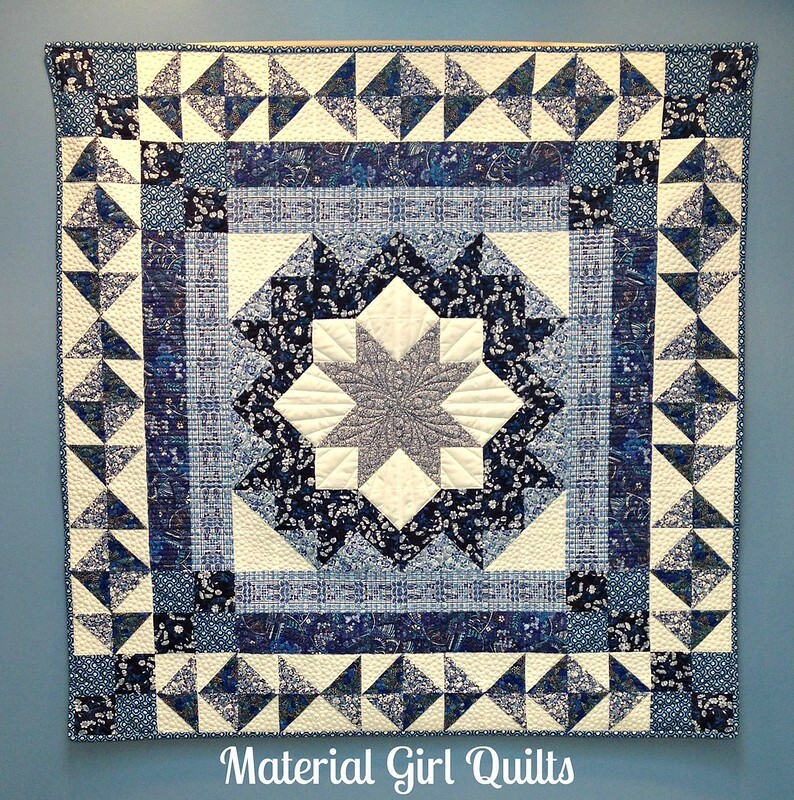 The quilting on the blue fabrics is a little more difficult to see, but the center star is amazing! Check out the calendar cover, isn't it so cute? I love how they staged this shot, very patriotic! To celebrate my very first in print publication, I've decided to give away a calendar (complete with instructions on how to make each of the 12 projects in the calendar) to one lucky winner. All you have to do to enter the giveaway is leave a comment below.